Hipsters portray deep anxieties about consumer society and mass culture. They are a group skeptical of marketing and advertising and therefore seek their own way of defining the fashions of the times, largely independent of the status quo, putting a gap between themselves and the rest of society. So how can brands adapt to the ever-changing demands of hipsters? More to the point – should they? It certainly isn’t an easy task. Many have tried and failed miserably down the years, including some big names in the world of marketing, so tread carefully or you’ll end up red-faced and considerably out of pocket. A hipster is defined by the Oxford English Dictionary as a person who follows the latest trends and fashions, especially those regarded as being outside the cultural mainstream. The term is derived from the 1940s word “hepcat” – a stylish or fashionable person, particularly in the sphere of jazz or popular music. Generally speaking, hipsters tend to reject the attitudes held by ordinary consumers. They are often seen sporting vintage and thrift store-inspired fashions, such as traditionally tight-fitting jeans and old-school sneakers, as a result of distinct style sensibilities. But not only is their dress sense different, they also tend to abide by a different set of beliefs and values compared to the masses. This makes them particularly difficult to target when it comes to advertisements. In fact, not being influenced by mainstream advertising and media is considered to be part of the hipster central dogma. Hipsters differ from country to country. Trends therefore differ as well, meaning one size doesn’t fit all. This makes it extremely hard for advertisers to tailor their products or services towards them. What’s considered cool and trendy in Berlin, for instance, does not have the same effect in London, while what’s regarded as chic and fashionable in Paris is far from the case in Stockholm. Hipsters in Berlin are fans of printed cotton bags and thick-rimmed, geek chic glasses, with energy drinks being popular among them. In Sydney, meanwhile, Ray-Bans are the glasses of choice and coffee is the preferred drink. Home brewed beer is the thing to be seen holding at a party in Stockholm, compared to cocktails in London, and wine in Paris. In terms of clothing, hipsters in Tokyo favor footwear that is individual and one of a kind, while those in Stockholm actually prefer old-school trainers from major brands like Nike and Adidas. New York hipsters, in comparison, like to wear clothes from different eras on every part of their body with no great regard for aesthetic cohesion. Farmer caps, plastic glasses and bright belts are particularly popular. You can therefore see why it is particularly difficult to target hipsters, let alone appeal to them through advertising. A number of big brands have made moves to win hipsters over in recent years, notably eBay and Amazon. Back in 2013, eBay acquired online payment service Braintree for a cash sum of $800 million. Part of the thinking behind the purchase was to give the company some additional mobile capabilities and some impressive marketplace clients including Airbnb, OpenTable, TaskRabbit, and Uber – all of which are extremely popular among smartphone-wielding hipsters and hipster-wannabes. The aim was to appeal to a wider audience, particularly hipsters, and reap the rewards of a relatively untapped market. Whether it has proved successful is still up for debate. 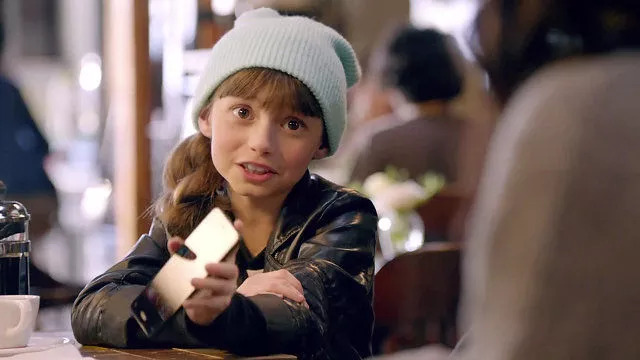 More recently, meanwhile, online retailer Amazon launched a new advertising campaign featuring little kids dressed as hipsters to launch its new Fire Phone – its first leap into the smartphone market. In the advert, the two miniature hipsters are seen chatting over boiled eggs and coffee at a cafe. “So, what’ve you got on deck?” asks the boy in thick-rimmed glasses. “Twitter, Minecraft, and then some Hunger Games,” says the boy. All these are popular among hipsters – and by reeling them off it, Amazon is making sure there is no doubt which market the advert is targeting. Again, the success of the campaign will have to be judged over time. Is it really worth targeting hipsters? Hipsters continually shift their interests and affiliations depending on what they see and hear in the mainstream. Targeting them will therefore ultimately prove fruitless, so it’s probably best to just leave them be. Any approach to reach out to them will usually backfire due to their well-trained eye for blatant advertising. Trends that gain too much exposure in society are immediately suddenly looked upon with disdain by hipsters. Their culture means they cannot maintain any cultural loyalties or affiliations for fear of losing their identity, even though it can be pretty hard to pinpoint exactly what their identity actually is. Brands are therefore constantly fighting a losing battle when it comes to targeting hipsters around the world. Even targeting a specific group of them in a single country is extremely challenging and, ultimately, may not be worth the hassle.